Like Glenn Beck, Alex Jones is a far-right talk radio show host. One would think they’re in alignment on many issues, but that is not the case. Following are two monologues of Jones talking about Glenn Beck in ways similar to what is reported here, but Jones has some real issues with what Beck is doing and why and how he is doing it. For now Beck has stepped back from supporting the bank bailout, but he clearly is still exhibiting the opportunist-populism that’s making Beck rich. Jones implied it; to be clear, Beck seems greedy and is using his talent as a salesman to deceive and hoodwink his audience. Now, make no mistake; Jones is a far right crank; but his criticism of Beck demonstrates how generally unprincipled Beck seems. It’s worth it to hear one more rant which further elucidates this point. This video is available on another blogger’s site, the Pronk Palisades. Once there, start the first video and close that window when you’ve heard enough. Like Beck, Jones is a climate change denier; but unlike Beck, Jones is consistent about it. Apparently, for Beck some of the time, and Jones all the time, the Earth scientists are either liars or playing a practical joke on the world. And the Earth is in on the joke! The glaciers are melting just to fool decision makers into formulating policies to curb emissions of greenhouse gases – for a laugh? Deepak Chopra: “If by that … you mean p-r-o-f-i-t, then he is. One wonders how Beck decides where to come down on many issues. Perhaps he consults conservative pollster, Scott Rasmussen, to find out what his audience wants to hear. Perhaps he throws a dart at a board. Perhaps Beck does a gut-check; who knows? People from all different political orientations are discovering thatGlenn Beck is not what he seems. He is a proven hypocrite, a proven liar and it’s pretty clear that he’s a charlatan. His emotionally invested viewers do not seem to care, but one wonders if Fox News owner Rupert Murdoch understands this or even bothers to watch Beck’s show. Most likely Murdock doesn’t care what Beck is, says or does on his show; Beck’s ratings are high. In the cut throat world of politics, quantity trumps quality, and American voters and thus, the country, suffers for that. Ask them if Rupert Murdoch has taken the time to actually watch The Glenn Beck Show. It cannot hurt, and who knows? Maybe–just maybe–something can be done to make the political environment in America just a little less toxic and political discourse just a little more honest. Many people on the left don’t care about Glenn Beck or what he has to say. They just ignore him. Some think that Lewis Black’s ridicule of Beck on The Daily Show is enough to believe Beck will now fade away. No, please call NewsCorp; and help push this reactionary out of the history books of the next century. Lots of folks take Glenn Beck very seriously. Beck is waging a one-man struggle against progress for the average Joe, the underprivileged, and for the freedom of corporations and fat cats to control average Americans’ lives. Beck’s mission, whether he realizes it or not, is to destroy our democratic Republic by strengthening the plutocracy that started to take over our Republic in the 19th Century. When it comes to how this country actually functions most of the time, the struggle is between the power of the people (democratic institutions) and the power of the powerful (plutocracy). Glenn Beck does not seem to realize that he’s on the wrong side of this struggle. 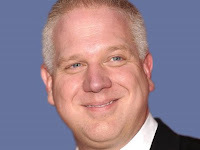 Share this URL to make sure more people, especially Conservatives, do get to really know Glenn Beck. If Glenn is on the wrong side of the struggle, then I will stand with him! It's amazing how you provide comments from everyone but Beck about what he says or has said. When you do there is nothing he says that I see is incorrect. You simply don't like the message because is disagrees with yours. It’s just plain and simple. Please provide the times and dates when he first agreed with global warming and then was against it. Please keep in context, as we know how much you and your ilk never do that. Brad, have you even bothered listening to Jones' remarks about Beck? YOu stand with a deceitful, hypocritical corporate shill. Yes, you and millions of others are caught up in his amazing self-promotion. You stand with a reactionary; that's your American right. Just so you understand that you're on the wrong side of history. I provide a variety of people criticizing Beck to help his gullible supporters better understand that he's a charlatan. You are flat out wrong about the bones I'm picking with Beck. I don't care that he and you are on the wrong side of history. That's your right. I don't care that you are gullible; that's your problem. I have a long section of the contents, that you seem to be going through here, that covers Beck's documented deceit. Some of it comes from others; some of it I've been able to document myself. YOu want to know one of your problems? You believe what comes out of the mouth of a person that lies a lot. He doesn't lie all the time, but he lies enough for me to understand that nothing he claims has any credibility. Only his customers, people this con man is selling snake oil to, seem unwilling to scrutinize his long record of deceit and ignorance.